There’s a big exciting movement in our region, quietly gaining momentum and about to burst onto the scene in a major way. Leaders & visionaries are now taking steps to revitalize downtown into a thriving metropolis and create a more livable, walkable, and sustainable city that will eventually lead to an absolute renaissance in our area and allow us to grow into a vibrant city of the future. Similar to the Cavs comeback, we’re poised to make a major rebound from decades of long, quiet survival that followed the bustling industrial days of our past. We’re seeing Akron emerge as one of the hotspots of tech R&D innovation, as affirmed in Antoine Van Agtmael & Fred Bakker’s book called The Smartest Places on Earth, Why Rustbelts are the Emerging Hotspots of Global Innovation. Akron is mentioned frequently as a primary city that’s attracting a lot of attention in the global tech community. 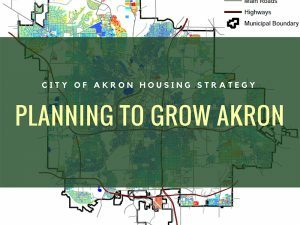 When you combine that with the initiative that Akron’s new mayor is embarking on to encourage residential developers to bring a massive amount of condos & apartments to the downtown area, we’re going to witness the transformation of what we never imagined possible … not only in our urban core, but the communities that surround it as well. Our region has so many amazing resources, and there will be plenty of room for growth in all of our communities, as well as opportunities to strengthen & preserve the great things we love about our area. How does modernism fit into this transformation? It’s idea will actually be the essential driving force of enabling this to happen. When you think of the word modern – do you think of a design style, or an idea about how to live? I define it as both … an idea about life, expressed in a visual, formal “language” that reinforces that idea. What’s the idea? Here’s a little background … people that are youthful (either by age or disposition), creative, passionate, and fearless are taking over the world and changing EVERYTHING. New, disruptive businesses (like Uber, Amazon & countless others) are transforming the way we interact with the world in virtually every way. Almost none of technologies we used 20 years ago are still around. Everything has either transformed or been enhanced with the ideas that new technology enables. Even finding our way to a peaceful quiet walk in a new park is done with a GPS app. New social structures & networks are also at the leading forefront of fundraising, crowd sourcing, campaigning, marketing & recreation. We’re seeing society transform into interconnected groups of “tribes” that build on their ideas with other like-minded team members, whether it’s a technology or a recreational club or a sports community (just to name a few of the myriad things that connect people over vast geographical divides). What’s required to bring these changes into the world is a multi-faceted subject that requires a whole dissertation about how & why it’s happening. 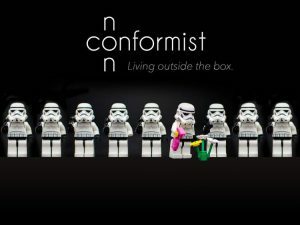 But here’s some of the common traits: embracing diversity of thought, having the imagination to look at the world in completely different (and oftentimes opposite) ways, and the courage to pursue dreams that are considered insanely crazy and a waste of time by “conventional wisdom”. Here’s the idea of modern (at least how I define it): a choice … a way of life; a conscious decision to be a non-conformist; adopting & nurturing an independent disposition that can see the world through it’s own lens; and an avid curiosity to learn about how we can do things differently & more “in tune” with our nature ( this is how every child starts out, by the way ). It’s an organic way to experience the world that speaks to a healthy mind, and lets our personality evolve and thrive as we age. How is this expressed? In love … in art … in music … in new social paradigms … and it also can be expressed in our built environment. Our surroundings can either enhance or stifle the way we want to be, and modern design for a modern life is something that’s going to be at the forefront of countries, cities & regions that are growing into the new landscapes of the future. Our design firm welcomes you to join us on our journey of helping enhance our city, our region, and our lives with fun modern design & an optimistic view about the world! You don’t even need to be building anything to be part of this journey … spreading the word about what’s happening in our region and encouraging others to do so is an essential way of ensuring it’s success. 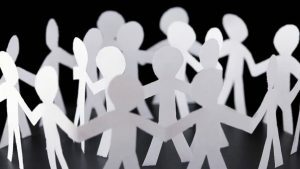 If you believe in the idea of a modern life (even in small ways), then you’re already part of our “tribe” and we welcome you to become connected with the rest of our group. We’ll be hosting social events & educational opportunities in the near future, so check back often for updates … we look forward to meeting you!